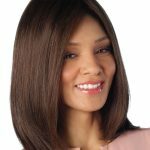 Fashion Wigs from The Individual Wig in all styles. For trend-setting, Fashion Wigs, leading Australian hairstylists in the entertainment and fashion industry choose The Individual Wig. Our wigs, extensions and hair pieces have been seen on models striding the catwalks and fashion shows from Melbourne to Sydney, London to Paris and Milan to New York. The Individual Wig has the latest styles in alternative hair, with an incredible variety of cutting-edge styles and dazzling new colours to meet all needs. When it comes to Fashion Wigs, we offer the most current, up-to-date ready-to-wear creations. We select wigs, extensions and hair pieces produced by world-wide, acclaimed designers, whose cutting-edge creations keep them at the peak of high fashion. We provide you with synthetic wigs and human hair wigs from only the world’s best wig makers, such as Jon Renau >, Amore >, Rene of Paris >, Noriko> and Henry Margu>. They use the latest technology in lacefront and monofilament construction methods to produce innovative, creative and fashionable wigs, all with the aim of wearability, comfort and unlimited styling options. The Collections are comprehensive, ranging from short, light weight styles to long, full, textured layers. We provide you with vibrant, hot colours, alluring designs and high quality alternative hair to help you look and feel completely natural. Whether the wig is hand-tied or machine made; meticulous care and attention is paid to ensure the quality of every wig. Exclusive Professional Range- in-store only. In keeping with the ever-changing face of modern fashion and the demands of ultra high standards, we also have an exclusive Professional range of wigs that are not sold online. They include Penelope, with long-layered 100% Remy Human Hair and Brooklyn, a modern, stylish lace front bob, seen in the image here. They are available only in-store through our Salon in Darlinghurst. Call us on (02) 9332 2112 or visit our SALON > in Sydney to discuss your requirements.